Can Homeowners Insurance Help With Yard Damage? If something should wreak havoc on your yard, will your homeowners insurance step in to cover it? When you finally purchased your home, you likely took a look at your yard and thought something along the lines of, this is MY yard. Chances are you’ve invested time, money, and a bit of blood, sweat, and tears into your yard so that it looks beautiful (roses may be pretty, but those thorns sure are sharp). So it’s only natural that you’d want some sort of protection to your outdoor property just as you have for your house itself. 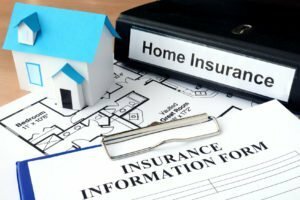 The good news is that you may not have to look any further than your homeowners insurance policy because home insurance covers your lawn, trees, and landscaping. So prepare for the rainy season by brushing up on how homeowners insurance may cover your yard against certain damages. Things like your fence around your lawn, the gazebo on your patio, and other structures like these are considered unattached structures. Repairs for these structures are typically covered by an average of 10 percent of your dwelling protection limit. It’s smart to ask your agent to verify what structures are covered under your policy. Depending on the cause of the damage, standard home insurance also covers repairing the trees, shrubbery, and lawn associated with the loss. Problems like: Fire, vandalism, damage by vehicles (not owned by the homeowner), malicious mischief, and explosions are normally covered. If the storm knocks over a tree, your homeowners insurance may cover it, but only if it hits your house or another insured structure, and only if it was knocked over by a something your policy covers like lightning, wind, or hail. Luckily, coverage applies whether the tree belonged to you or a neighbor.